Malissa Wood, MD, is one of leading cardiologists in the United States who specializes in the field of cardiovascular disease in women. She has led more than a dozen high profile studies in the field and has been interviewed extensively about her work, including a recent appearance on the Good Morning America. 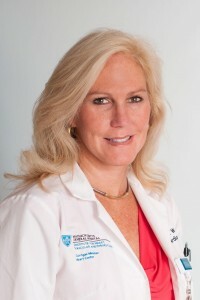 Trained at Harvard Medical School, Dr. Wood is currently co-director of the Corrigan Women’s Heart Health Program at Massachusetts General Hospital. Dr. Wood is the author of two books- Smart at Heart and Thinfluence and has made dozens of appearances on network TV news shows and other broadcast programs, appearing on theToday show, Good Morning America, the PBS series Nova and Second Opinion, and has done many radio interviews, including several on NPR. Her expertise has also been featured extensively in online and print media including ABC News, Family Circle, Men’s Health, Women’s Health, the New York Times, the Boston Globe, Runner’s World and Fit Pregnancy. Dr. Wood is on the Board of Directors of the American Heart Association Northeast Affiliate, Sister to Sister, and American Society of Echocardiography. She also serves on the editorial boards of numerous scientific journals.